Tottenham are showing strong interest in Amadou Diawara. 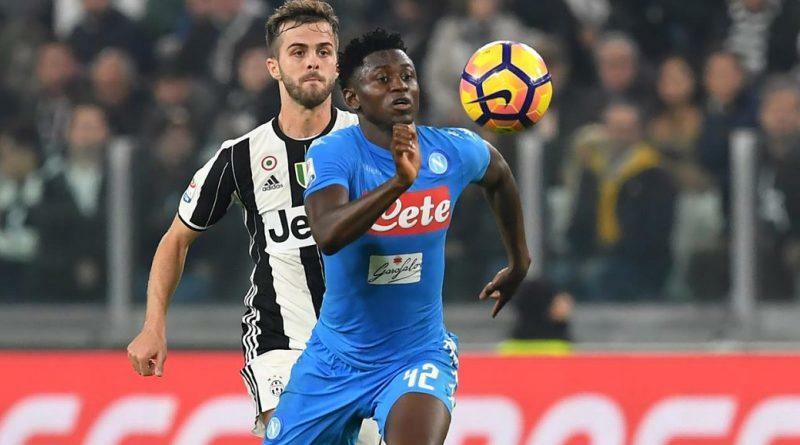 According to the football transfer rumours in British media, Tottenham will look to sign Napoli midfielder Amadou Diawara. The Guinea international joined Napoli from Bologna for a fee in the region of 14.5 million euros in August 2016. His contract expires in the summer of 2021. Diawara has played 61 times for Napoli since signing from Bologna, scoring two goals and creating one assists in that time. The 21-year-old is considered to be one of the best midfielders in Guinea. As a member of Guinea national football team, Diawara won two caps. The Tottenham manager is in the market for a new midfielder. Mauricio Pochettino is a long term admirer of Diawara and believes he can get the most out of the Guinea international. Napoli are not in a position where they need to sell and would like to keep hold of the midfielder, but right offer may force the club to consider a deal. Signing the 21-year-old in the winter transfer window would be a masterstroke from Pochettino. Stylistically, he would be a great fit in Tottenham. Whether he will join Tottenham or not remains to be seen.